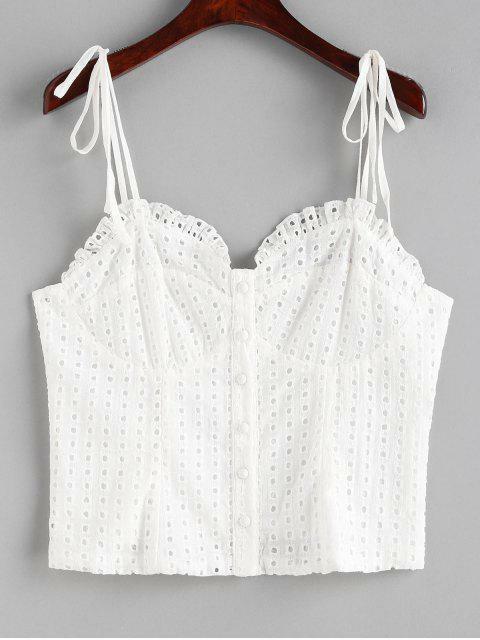 [34% OFF] 2019 Button Up Eyelet Cami Top In WHITE | ZAFUL ..
Great item, I love the style. Love it for this summer. Super cute! This casual plain tank top emphasizes self-tie skinny straps, convenient button-front closure, and pretty ruffle trims, in a fitted silhouette. The stylish eyelet detail adds charm and glamour.